Created to provide helpful information about the Utah Cannabis Industry. Utah is not currently accepting applications to license marijuana businesses but will be in the next coming months. 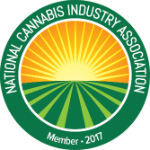 A cultivation license is required to grow, possess, and sell cannabis to cannabis production establishments or cannabis dispensaries. The department may issue up to 15 Cultivation Licenses. After Jan. 1, 2022, the Department may issue additional licenses if the Department determines it is necessary. Utah is not currently accepting applications to license marijuana businesses but will be in the next coming months. Check back for updates! A processing license is required to acquire cannabis from a cannabis production establishment, manufacture it into a cannabis product, and sell the cannabis product to a dispensary. Utah is currently not accepting applications to license marijuana businesses. Check back for updates! A dispensary license is required to acquire medical cannabis or medical cannabis products from a cannabis production establishment and sell medical cannabis or medical cannabis products to medical card holders in Utah. How can I obtain a Utah Medical Marijuana Card? For the latest cannabis-related legislative updates on Utah, check out our Cannabis Bill Tracker! UTAH SUCCESS STARTS WITH CONTACTING US!